Or 6 payments of $24.83 What's this? The Enzo Free-Diving Fin is a Purpose-Designed Spear-Fishing and Free-Diving Fin with Special Composite Construction Technology. The Enzo is an Excellent Choice for the Beginning to Experienced Free-Divers. Its unique Performance Characteristics feature a more Flexible, Lightweight Design with a Comfortable Fitting Foot Pocket. The Enzo Fin Blade is made out of Polypropylene Composite Alloy. 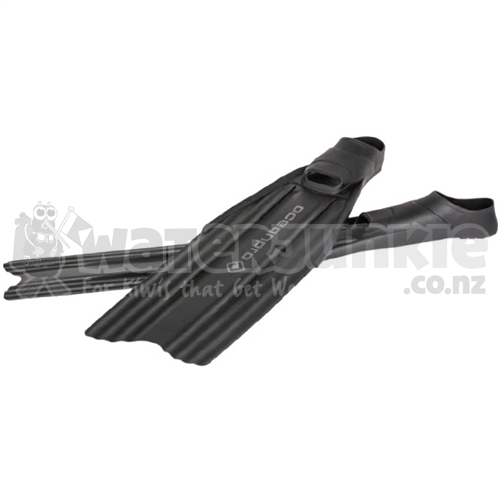 The Foot Pocket is a Soft and Comfortable Thermoplastic Rubber Material, yet is Hard enough for Proper Energy Transfer to the Fins Blade. The Fin measures (L x W) 35.5" x 8.6" (90.2 x 21.8 cm), yet is Lightweight weighing only 27 oz (765.4 grams). The Enzo Blade has Multiple Channels that Create Significant Water Flow over the Surface of the Blade Focusing the Flow for Increased Thrust with Minimal Effort. 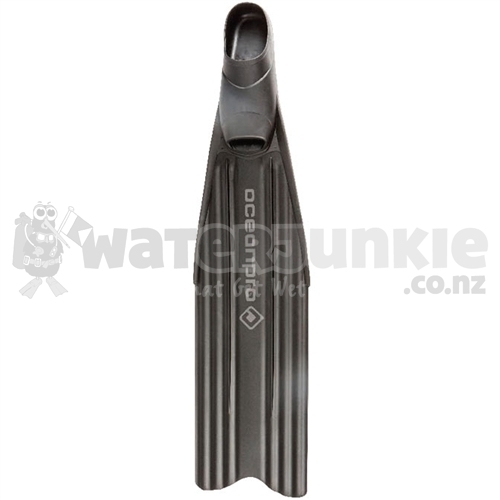 The Enso Fin is Black in Color, available in Multiple Sizes and is covered by a 12 month limited warranty.